Three leading European C-ITS initiatives supported by the European Commission (urban C-ITS pilots in C-The Difference and C-MobILE projects, together with the C-Roads Platform for national and regional deployment), held a roundtable discussion together with policy- and decision-makers and professional users on 6th June 2018 to strengthen commitment and to gain momentum toward large-scale deployment in Europe. Hosted by Bordeaux Métropole (France), the Roundtable gathered over seventy participants from all over Europe. 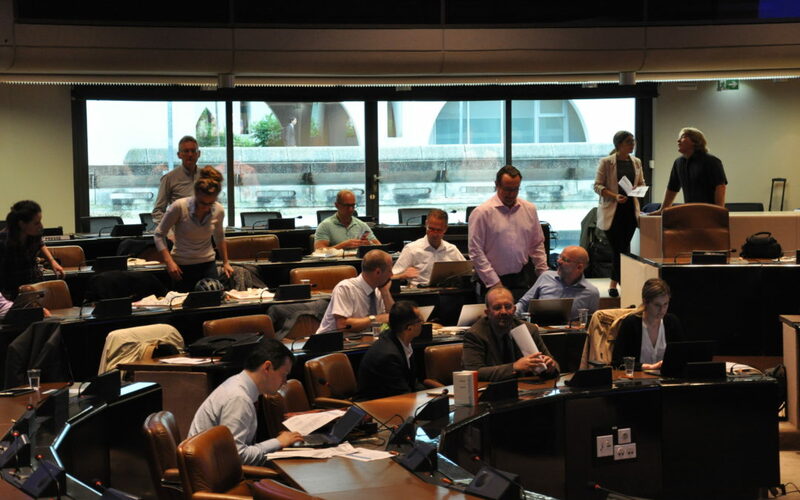 The event followed up on the City Twinning Workshop held on the previous day in Bordeaux, where deployment strategies for C-ITS and elements of user appreciation were addressed. After initial steps in research and development, now is the time for deployment – with some caveats, as Jaap Vreeswijk, C-ITS Traffic Architect at MAP Traffic Management, noted in his address: ‘Nobody wants to be the first to deploy [C-ITS services]; everyone wants something that works’. Karel van Rooij, CEO of Van den Broek Logistics, emphasized the importance of stop-free travel for trucks when it comes to meeting sustainability objectives. That was the objective of the C-the-Difference Project, which developed a free Android app providing traffic light status information and green light optimal speed advice (GLOSA) for equipped traffic lights in the Bordeaux area and the A63 motorway connecting Bordeaux and Bayonne. The app totals 1200 downloads, showing the potential of smartphone-based C-ITS solutions as an alternative to dedicated on-board units. above: the C-the-Difference (Bordeaux) app in action. C-MobILE will offer Green Light Optimal Speed Advisory (GLOSA) services as part of its service bundles. Capitalizing on the ease of use of smartphone-based C-ITS, Evangelos Mitsakis from CERTH (Greece) explained how his team approached taxis in priority: ‘A taxi equals thirty cars for kilometres travelled per day, so CERTH developed apps for taxi drivers, with features such as road hazard warning. 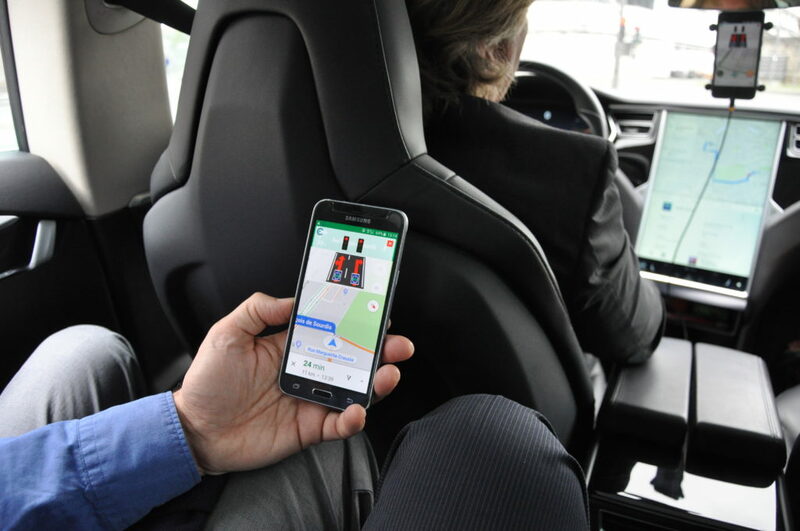 It’s easy to integrate more functions into the apps taxi drivers use, and because they drive a lot, they are a great user group’. Autonomous trucks, on the other hand, are the object of more immediate expectations. ‘We are very interested in autonomous trucks, first for safety, and for the next step: real autonomous trucks’ said Karel van Rooij. ‘How far does it go and how long will it take? Platooning already provides benefits, but edge cases remain’, he added, citing meteorological conditions such as snowfall that might prove difficult to navigate for autonomous vehicles.